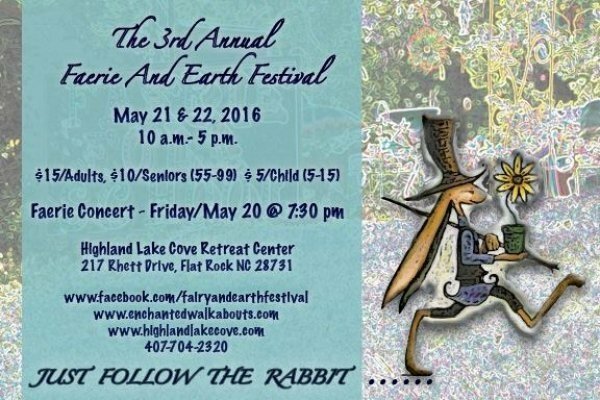 Faerie & Earth Festival May 21 & 22: I'll be presenting music for the nature realms during both afternoons. 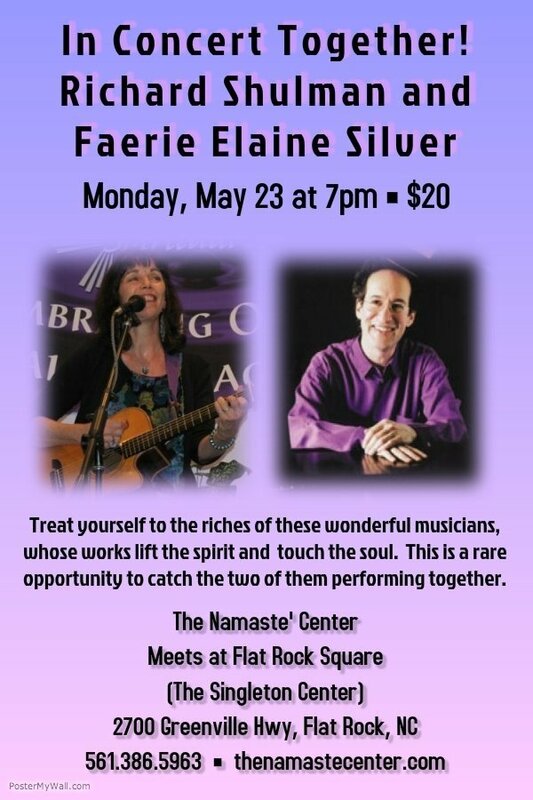 Concert w Faerie Elaine Silver Mon. May 23rd at Namaste! Sun. May 8, 7:30 - 10:00 pm playing piano with Russ Wilson's History of Jazz, "The Swing Era, Vol. 1." Isis Restaurant & Music Hall 743 Haywood Rd. West Asheville, NC 28806 I'll be playing the 8:30 set. Call 828-575-2737 for reservations. Thurs. June 9, 1:00 pm presentation "Sacred Music; Experience Mystical States of Consciousness with the Vehicle of Music" at the Academy for Spiritual and Consciousness Studies 41st Annual Conference at the Sheraton Chapel Hill, NC. More info about the presentation here. More info about the conference here. Sat. 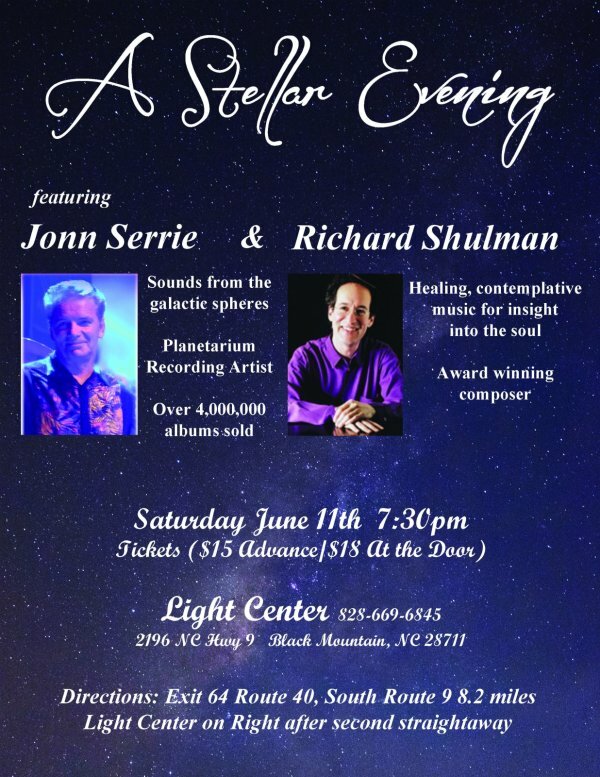 June 11th 7:30 pm "A Stellar Evening" with Jon Serrie and Richard Shulman in concert plus laser light show at the United Research Light Center, 2196 Hwy 9, Black Mountain, NC 28711. Tickets $15 in advance, $18 at the door (see flyer). Here is a beautiful video rendering from a CD I did with Rahmaneh and Tomas Meyers containing Tomas' mystical poetic interpretations of the Aramaic translation of the Lord's Prayer.